Review date: 12 August 2003. 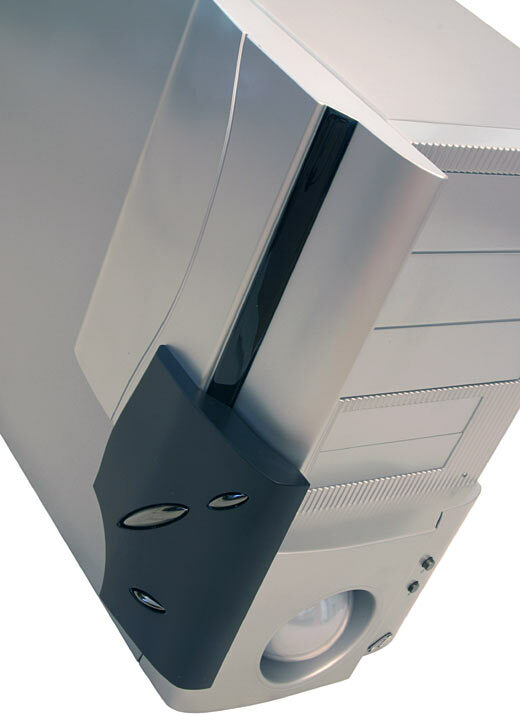 It's hard for PC case manufacturers to innovate. 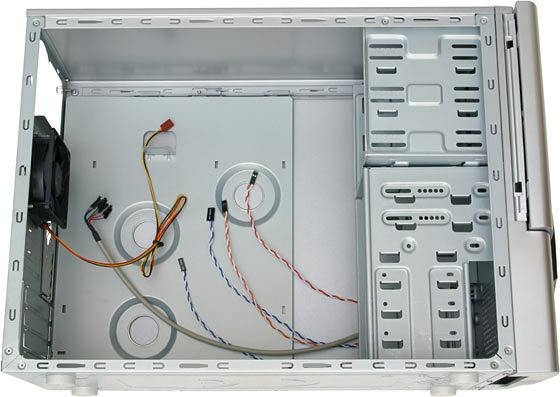 They've got to make a product that can hold a collection of standard-sized components - motherboard, drives, power supply, fans - close enough to each other for the cables to reach. And there has to be adequate ventilation. And the whole thing has to be cheap enough that people will actually buy it. There are already well-established companies making cases that fill pretty much every market niche, so you've got to come up with some unique selling points if you want to make headway. Well, unless you just want to step into the phone-booth knife-fight of undercutting other manufacturers' prices. 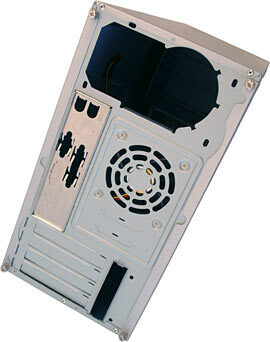 Lousy ATX cases with power supplies can be had for less than $US25 these days, so good luck with that. 3R System are a Korean outfit who've stepped into the fray with some genuinely new ideas. Their little R201 packs a surprising number of novel features into its diminutive frame. Are those features actually any use? Read on. 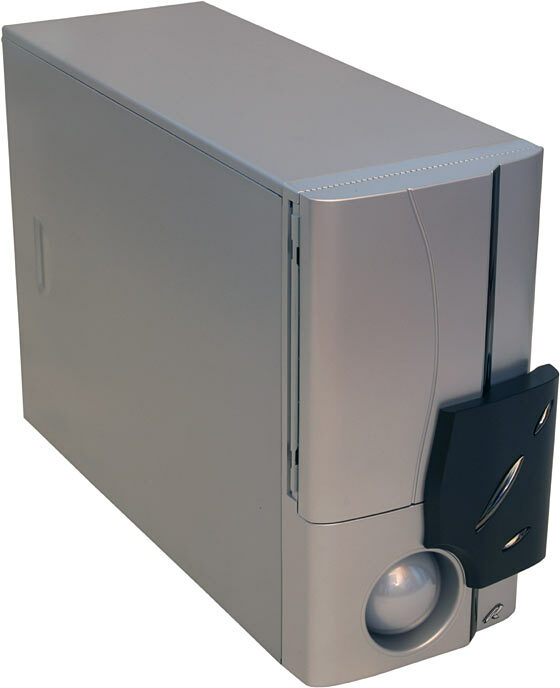 The R201 is a lightweight steel case (I wouldn't recommend using it as a chair) with a silver finish, and it accepts microATX motherboards. So it's smaller than the usual midi-tower form factor. It's deep, though; 3R say it's 180mm wide by 340mm high by 480mm deep (7.1 by 13.4 by 18.9 inches). It's actually a little deeper again, when you take its front panel and unusual expansion card retainer (of which more in a moment) into account. The narrow, short and deep case shape is a good one. Lian Li use it for various of their smaller models. It lets you get a decent number of drive bays into the case without making the motherboard and PSU area cramped, or ending up with a box only trivially smaller than cases that can accept full sized ATX motherboards. The R201 doesn't look all that amazing at first. There's a lot of plastic on the front panel, for a start; that's not usually a good sign. 3R have done more with their plasticwork than most case companies, though. 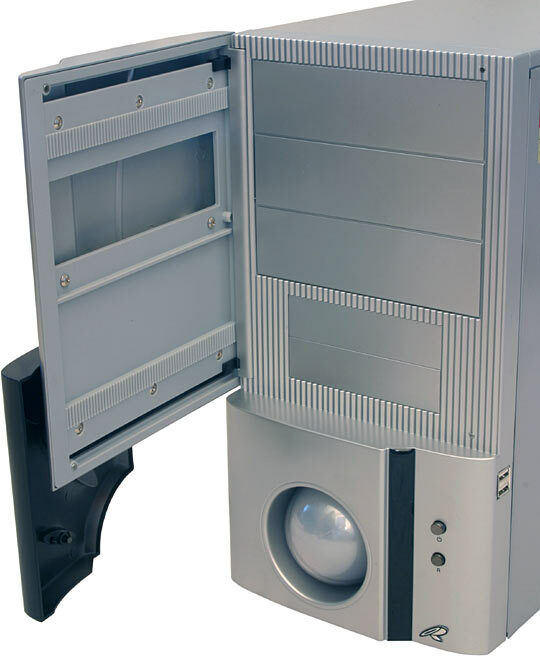 Two of the shiny ovoids on the black "shield" protruding from the front of the case are just decorations. The lower one is a power button. 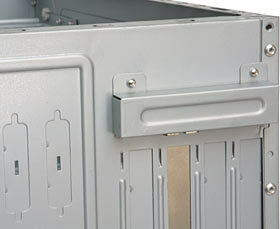 The top part of the front panel is a hinged bay-covering door, which swings open like many others, bringing the shield with it. Now you can see the power button itself (the button on the shield is just a pass-through pusher peg) and the identical reset button. You have to open the door if you want to press the reset button, which is OK with me. 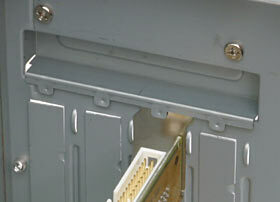 You can also see the two front panel USB ports, which are on the right side of the panel. They're hidden from view by the shield on the bottom of the door when it's closed, but because they face sideways, you can still plug things into them. ...until you notice you can slide the door back, from its open position, so it lies flat against the side of the case. The door has two little magnets to hold it closed, provided you don't tilt the case steeply forward. When you open the door and slide it back, the same magnets stick to the R201's side panel and keep the door in place once again. There's fun to be had below the door, too. That's a heck of a power light, ain't it? With the power off, the three inch dome on the front of the R201 pretty much looks as if it's made of the same metallic-finish grey plastic as the rest of the front panel. But it's got a pair of blue LEDs behind it. When they're on, the dome looks like HAL 9000 with his hue rotated 300 degrees. The two blue LEDs are the power and hard drive activity lights - which means that drive activity just makes the blue dome glow a bit brighter. The light's bright enough to be obvious in normally lit rooms at night; it looks cooler in the dark, of course. The back of the R201 looks slightly peculiar, too. You get one standard ATX PSU mounting spot, one push-out motherboard port matching blank, one factory-installed 80mm exhaust fan (there's an empty intake fan spot on the front panel), four expansion slots, and nice comfy thumbscrews holding the side panels on. But what's that hole above the expansion cards? ...pretty unsurprising. All steel, of course, with comfortable rolled edges to avoid unexpected bloodletting, and a respectable complement of drive bays. Three 5.25 inch and seven 3.5 inch ought to be enough for pretty much anyone. All three 5.25 inch bays, and two of the 3.5 inchers, have front panel cutouts. 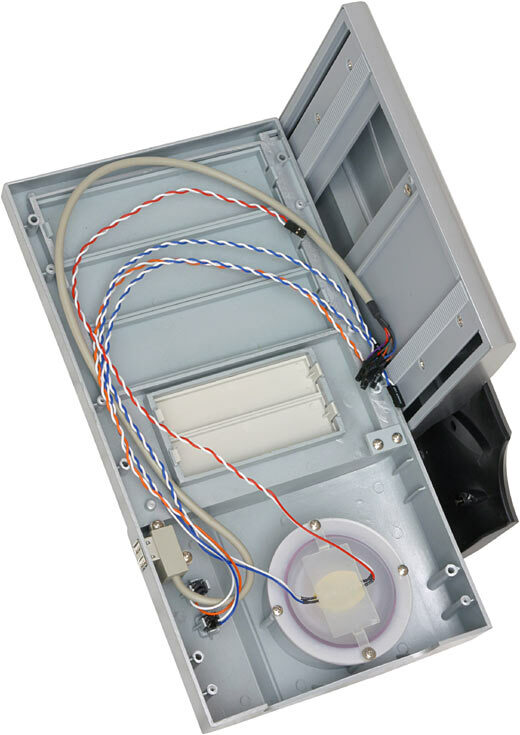 They also all come with plastic covers, so if you don't want to install any externally accessible drives, you don't need to put up with a hole in the case. You also get standard internal connector cables, including the cable for the two front USB ports. It terminates in the now-normal spray of tiny single pin plugs, to suit motherboard USB headers with different pinouts. It took me a moment to figure this out, because there's no instruction sheet included with the R201. If you install a card, the bent bit at the top of its backplate will stick out through the hole. Most cases - heck, every other case I've seen - have a recessed area for expansion slots, so the bent bits of the backplates stay inside the case, and you fix them in place with a screw. The bent bit of a card will be outside the back of the R201. The mystery's explained when you look in the bits box that comes with the R201, and find an extra piece of metal. That piece of metal is a clamp. You attach it to the back of the case with a couple of standard screws, and it holds expansion cards in place. That clamped card in detail. Here's what it looks like from the outside. The retainer, necessarily, pokes out of the back of the case. On the down side, this peculiar design means you have to undo two screws and remove the clamp any time you want to add or remove an expansion card. 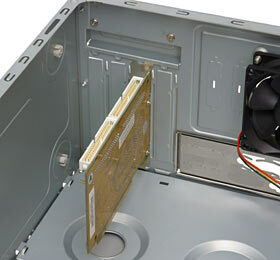 On the up side, you only need to undo and redo two screws no matter how many cards you're adding, removing or swapping. The clamp works fine. I don't think the clamp system is really any better than the traditional way of fastening expansion cards in place, but it's perfectly OK once you figure it out. The odd expansion card retainer makes a bit more sense when you discover the R201's removable motherboard tray. 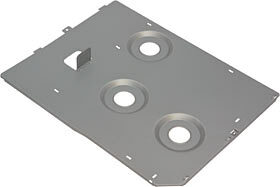 Well, removable motherboard plate, anyway. This chunk of steel is retained by two screws, fastened from the far side. So you should be able to get a whole motherboard with expansion cards out of the R201 by removing the card clamp, undoing the mobo tray screws, then lifting the thing out of the case in one lump. How useful this is, I'm not sure. 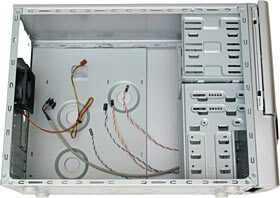 It doesn't give you an easy way to just back the mobo out a couple of inches with all of its cables still connected when you need some more working room, as a traditional rear-exit sliding mobo tray does. But the tray shouldn't add a great deal to the R201's price, either, and you don't have to use it if you don't want to. ...is unusually nifty. It's a little plastic tackle box which contains the usual collection of screws and motherboard mounts and so on, but also gives you some cable ties, and one quite good quality screwdriver. There's a tiny plug-in PC speaker, too - just a little transducer attached by a couple of centimetres of wire to a standard motherboard speaker plug. The R201 has a mounting location for a conventional PC speaker, but installing one there will foul the bottom 3.5 inch drive bay. 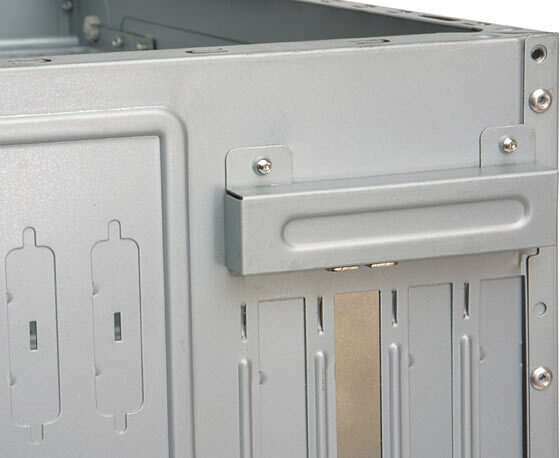 The bits box is sized to fit snugly in a 3.5 inch drive bay, and is secured there by another thumbscrew. You can see that screw in the photo, sticking out of the near edge of the box. So if you don't install drives in all of the R201's 3.5 inch bays, you can keep the bits box inside the case all the time. People who carry their computer around, and occasionally find themselves having to work on it (or another computer) in the field, may find this particularly handy. LAN partiers, I'm talking to you. ...and you can look at that funny glowy thing. 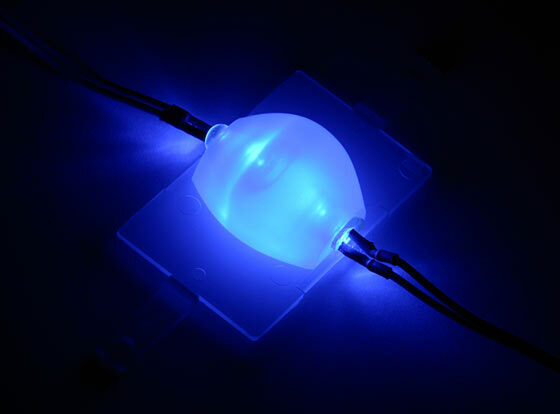 The twin-LED module is physically simple, but well engineered; the LEDs face each other inside a plastic diffuser. Mod-happy R201 buyers could easily replace this module with a variety of other light sources. I like the R201. It's a solid and practical case, light and compact enough to be easily portable, and it has some spiffy features that elevate it above the pack. 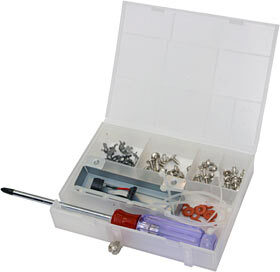 The drive-bay bits box is clever and useful. The giant power/drive light is novel and fun. Plastic-heavy front panels are usually very impractical and a style disaster; the R201's isn't. The odd card retainer and mobo tray system does no harm. And the whole thing ought not to be too expensive. 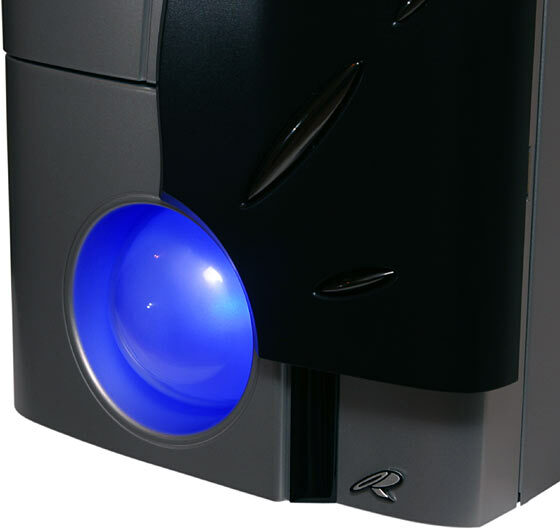 I don't have pricing info for the R201, but 3R System's previous cases all seem to be priced like various other quality steel cases. 3R System say they've got a lot of international distributors, but the only place I can see where their products are sold under the actual 3R System name is New Zealand. 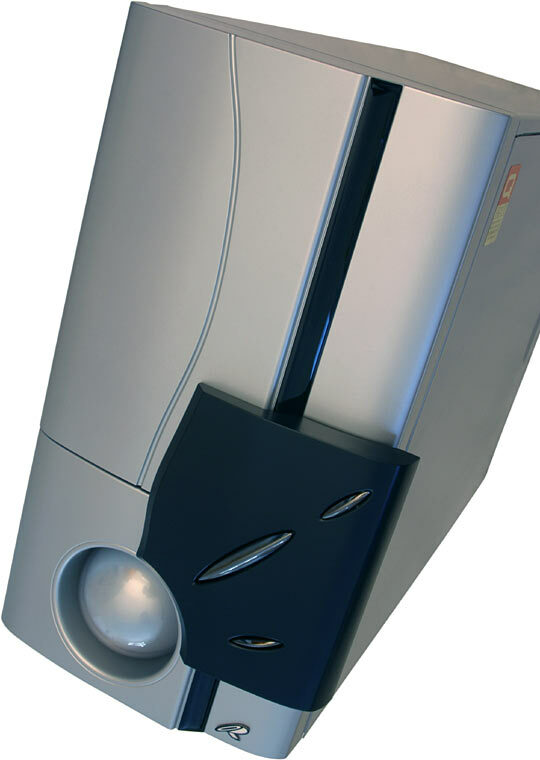 Elsewhere, 3R System cases are presumably sold under other names; this is common enough in the cheap case market. The R201's very distinctive, though; you'll know it when you see it, no matter whose sticker is on it. And you'll probably like it. Recommended.